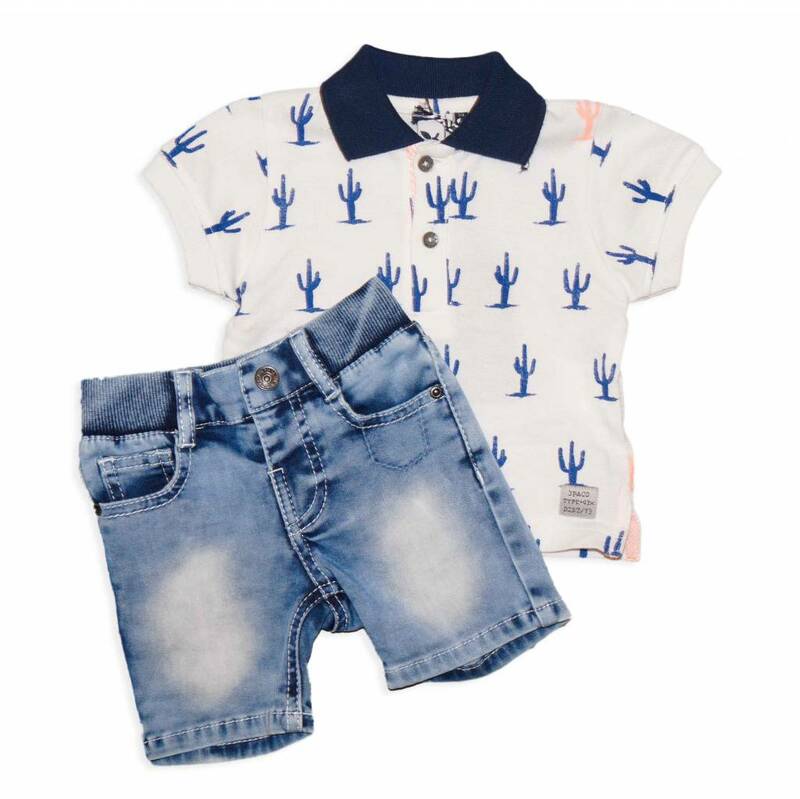 Baby boy set includes a polo T- shirt with a cactus print and light blue denim shorts with elastic waist band. 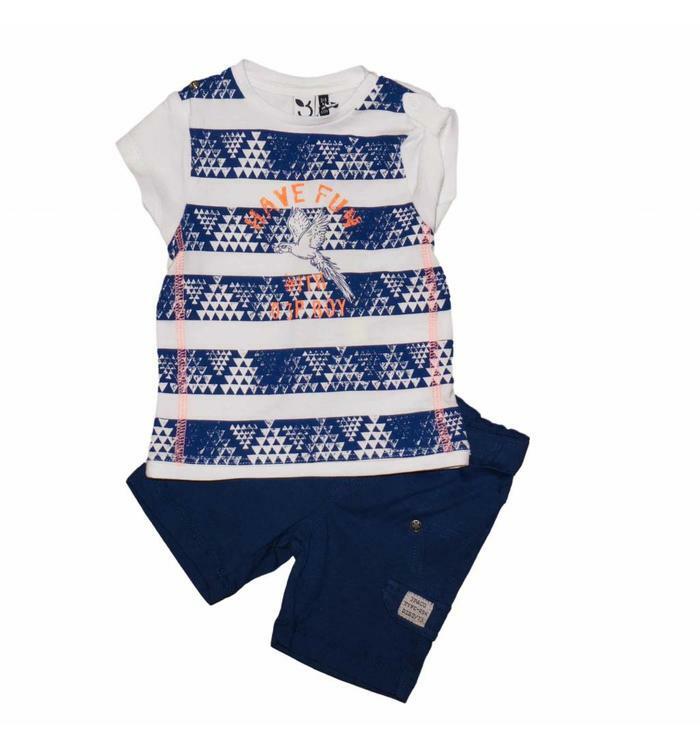 2 pieces set including white printed cotton t-shirt and blue cotton shorts with elastic waist. 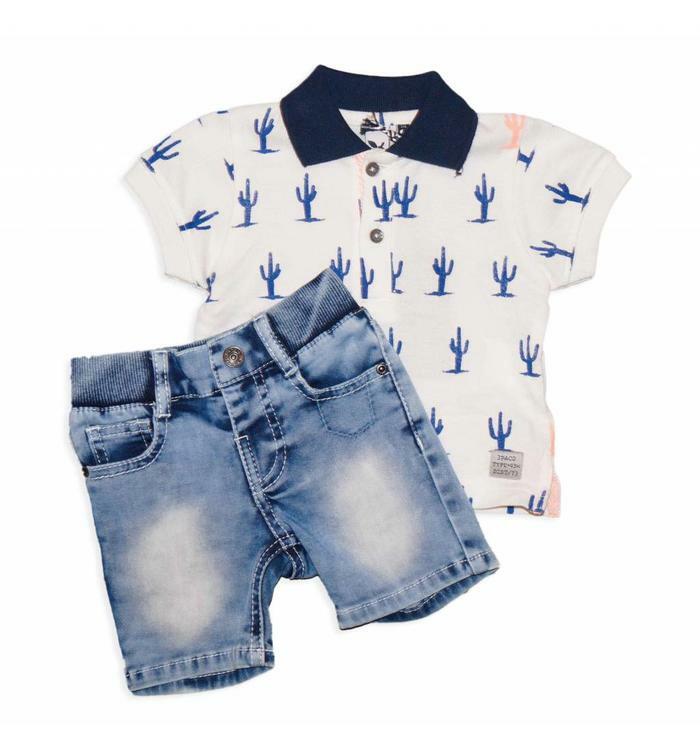 Boy's 2-pieces set includes a black and white checkered cotton short-sleeved shirt and faded black sweat shorts.